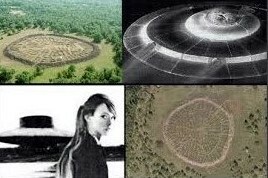 Development of flying disk based on telepathic received information from a source located 86 light years away. 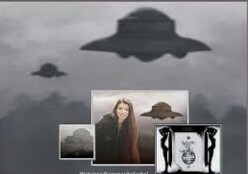 The Vril members and medium Maria Orsitsch and Sigrun did get and had technical details for the design of a total new flying disk. 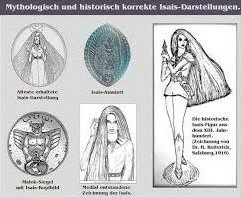 The Vril group members did manage to get information obtained by using telepathic messages and technically detailed information about a flying disk with contacts who had their origin in the star system Aldebaran, location within star system we knew as Taurus, about 68 light years away from earth. All where females. Initially seen as a type of flying car, intended and suited for use by normal people. Would allow them to travel fast and great distances through the air, no roads or infrastructure needed and easy to fly/control. Soon they began to realize that it would be possible to fly not only at the surface of the earth but also in space even to nearby planets, possibly constructed in such a way that it could reach others stars. The detail was of such quality that it would be possible to build a prototype for testing based on the information provided. In December 1919, during a meeting between members of Thule_, DHV SS and Vril at a rented a house located in a wooded area remote and private, locality Ramsay near Berchtesgaden decided to go ahead. Several German companies were approached and some did donate money which can be found and listed under the code »JFM« within accounting. 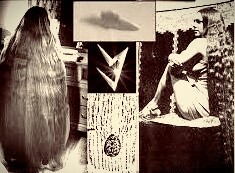 Clearly to develop the Vril propulsion system which however was formally known as »Schumann SM-Levitation«. Dr Schuman is also known for his ability to measure the earth frequencies reasonably accurate. Came to the US under the paperclip project. In principle is it necessary to create and have enough power in such a device to project a strong field in its immediate surrounding. (electromagnetic field strong enough to isolate itself from all other fields like gravitation, electromagnetism, radiation, and matter). A kind of micro-world formed which would including the disk and people present within and is independent of the macro world surrounding it. Protective even against even radiation. Normally when you change direction at high speed you might get yourself into trouble due to g-forces but here they are zero here and you do not feel anything. A kind of micro-world formed which would including the disk and people present within and is independent of the macro world surrounding it. That makes it possible to move and go about without and completely independent of other forces which you can no longer feel like movement, speeding, change of direction. The actual construction of a prototype started in the summer of 1922. The first anti-gravity system was based on one stationary and two in opposition of each one rotating steel disks. The stationary or fixed one had a diameter of 8 meters, on top a disk with a diameter of 6.5 meters and under need a disk with a diameter of 7 meters. 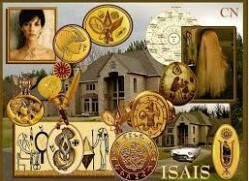 The house had the shape of a church bell. The middle part did end in a cone which went into the cellar and on it a Hebe for stabilization. It was tested for two years in the stationary position. When activated the two disk would spin in opposite direction creating a strong electromagnetic field. Next step was the invitation from Hitler in 1934 to be present at a demonstration of the new RFZ1 to Viktor Schauberger and the top of Vril and Thule groups. What should have been the birthday of the disk did turn out into a disaster. The disk did move up to 80 meters in the sky, start to vibrate and shake and became in stable, the pilot did manage to get it back to the ground and had to run for his life. It was built under the direction of Dr W. Schumann, location the Flugzeugfabrik Arado in Brandenburg. 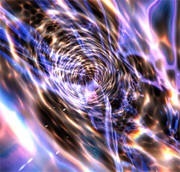 However before the end of the year to be replaced by an improved Vril powered disk and »Magnet-Impulssteuerung«. RFZ2. Characteristic where: the Optic blurring of the edges by the increased speed with the typical UFO colors depending on the power, Red, Orange, Yellow, Green, White, Blue or Violet. The RFZ 2 a relatively small disk was very successful 11,5 meter in diameter, with a »Schumann-Levitation-Antrieb« and a »Magnetek-Impulsor-Steuerung«. Speed between 2.900 and 12.000 km/hour. Change in 90-degree direction would not affect the pilot. Weather Independent, and able to fly into space. In total 17 were built in Germany. There were a number of two sits disks with glass top. Did participate in »Luftschlacht um England« genannten Kriegsphase, 1941 because of the failure of the standard hunter the ME 109 as an observer. At the end of 1941 to be seen in the south Atlantic on the route with the Hilfskreuzer Atlantis in Antarctica. Could however not be used as hunter plane because of the impulse steering. Only change direction between 90′,45′ and 22,5′ degree. 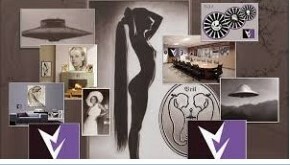 The Vril society was eventually granted their own test area in Brandenburg. During the visit of Hitler, it was decided that all groups would work together on the development of new and better disk and possible starships. At the end of the war evacuated to Antarctica and a test is done by which a flying disk did enter a wormhole only to return heavily damaged. Based on later contact she did eventually reach her destination. After the war the allied forces agreed to erase any knowledge of these groups rigorous for public records and deny that they ever did exist to be erased/terminated, to be forgotten. 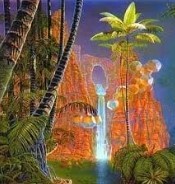 From what I do understand is that we humans are not allowed to leave planet earth because we are imprisoned here. Low cost flying around the world in two hours a problem and hardly any of energy on a thing, flying to another planet out of question. Standard procedure, deny existence, hid, erase from the history books. Now at the end of 2017, the United States government officially willing to admit to the existence of UFOs. Releasing previously classified footage of two navy pilots scrambling to intercept one (a UFO) and a promise of more footage on the way. The video released showed an object traveling at a high rate of speed, and performing maneuvers that should be impossible based on our known laws of aerodynamics. The Pentagon released two videos of separate objects, and both of them were displaying maneuvers that no known man-made aircraft can perform. Nothing new and when you study the information above read why! It is the same story as about free energy, any attempt to improve our knowledge /capacity on earth is sabotaged. Tesla the inventor of one of these free energy devices got all his patents and papers confiscate after his death because of claims about national security, in fact, to protect the vested interest in the developing oil industry, production of electricity, their investors mainly banks. Wonder what is going to happen to all the people who did know including many elected ones and multinationals/banks. Do they get free-off as with the banks last time?